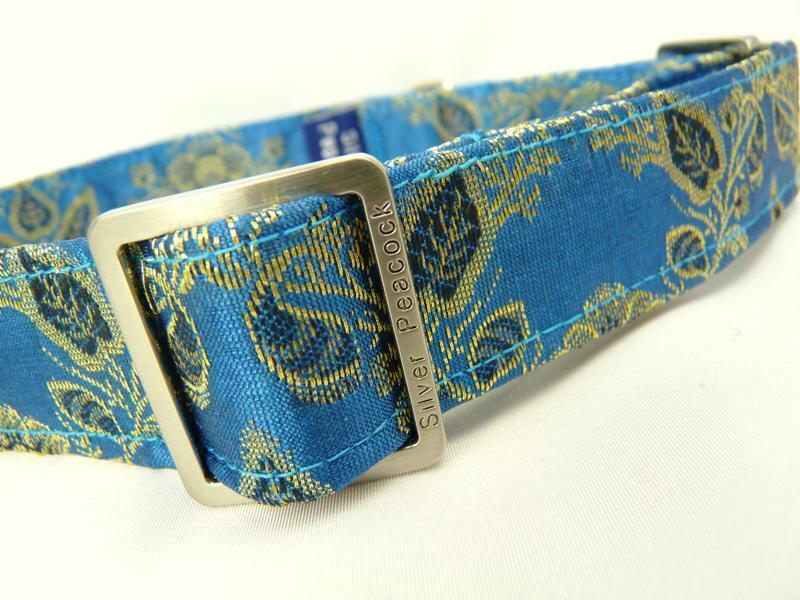 We've had this gorgeous fabric for some time, safely tucked away, but now we have some rather lovely turquoise webbing that co-ordinates perfectly we decided it was time to part with the fabric! 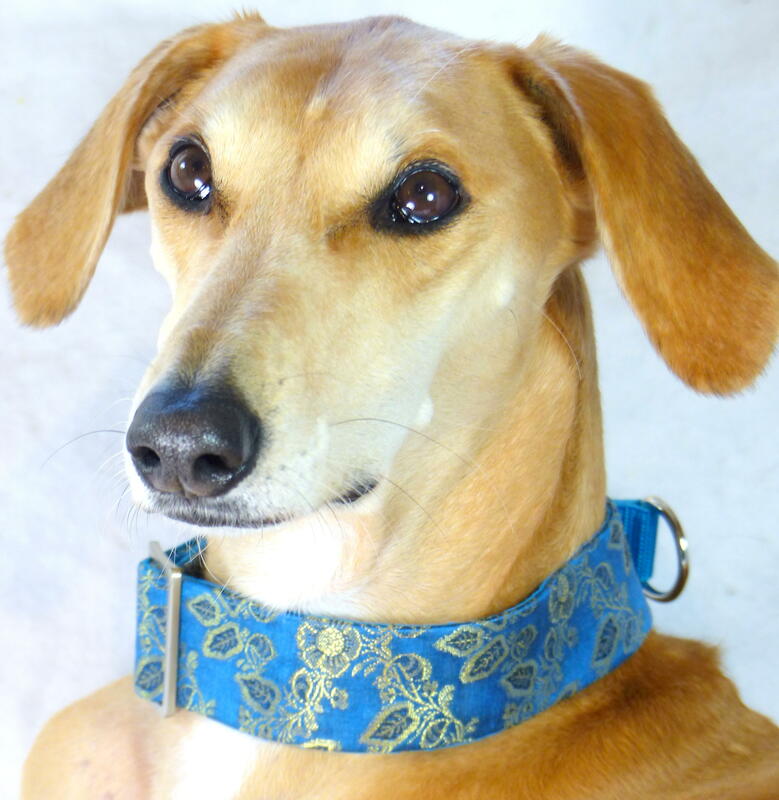 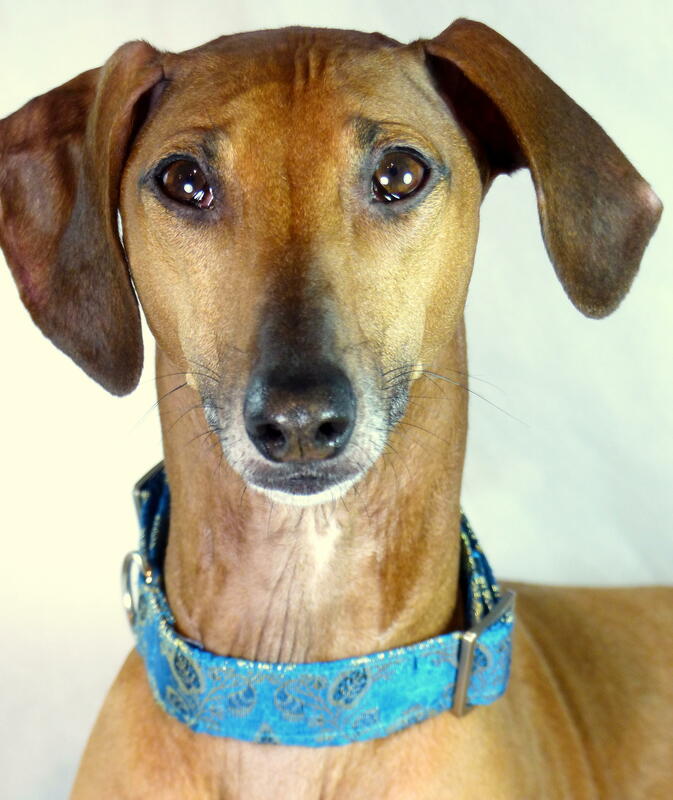 Made from teal coloured fabric with metallic gold leaf and floral designs covering the whole of the fabric, this collar is sure to get your hound noticed! 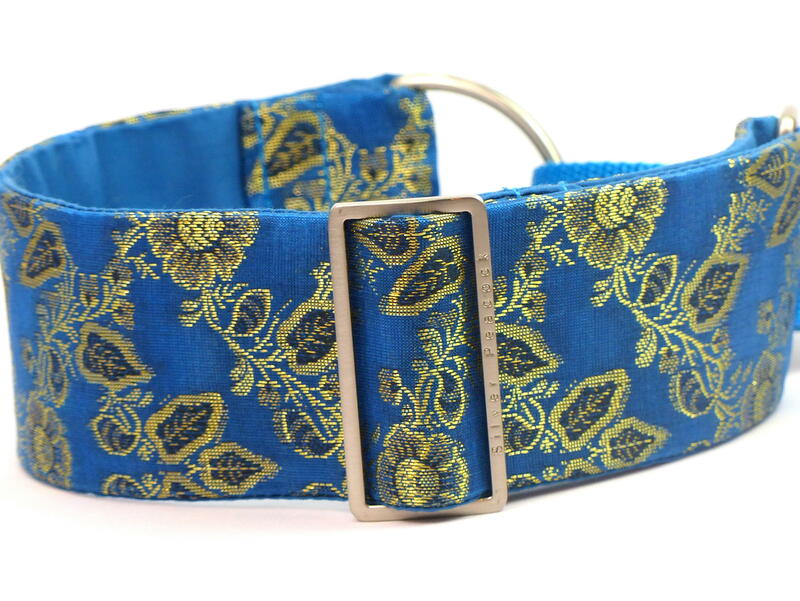 The collar is lined in turquoise fabric and is finished with robust silver coloured hardware.